God has given you one life and filled it with resources—time, health, finances, relationships, influence, and more. How you steward these resources will determine whether you successfully fulfill God’s eternal purpose for your life.This book will take you on a personal stewardship journey, equipping you to live effectively and biblically. It will challenge and equip you to strategically invest your most valuable resources for God’s eternal purposes. Hours before Jesus gave His body to be broken and shed His blood for our sins, He gathered His disciples for the Last Supper. 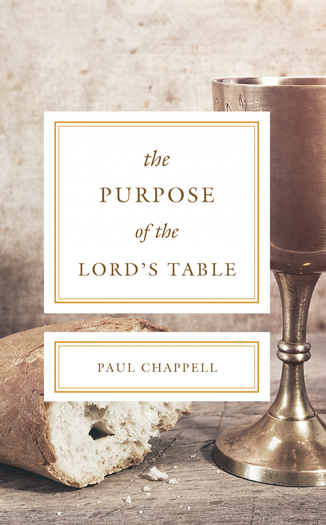 In this poignant setting, He instituted one of the two local church ordinances we find in the New Testament—the Lord’s Table. In these pages, we examine three purposes Christ has given us for observing this sacred ordinance—to remember Him, to revive our hearts, and to prepare for His return.